You eyes. Your ears. Your time keeper. Your coffee maker. Your errand runner. Your excuse maker. 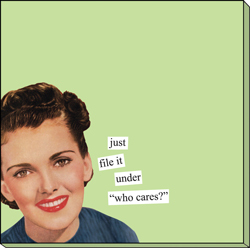 Your call screener….the list goes on and on…. She (or He) makes your daily work life easier, and probably does things of her/his own accord, to make things just that little bit better around the office for everyone…..but especially you. What would you do without Her (or him)? And how can you possibly show your gratitude? Secretaries day as it once was called, is now known as Administrative Professionals Day, a more PC version that covers the variety of roles within the office. It is celebrated in Australia on the first Friday of May of each year, and the over the years, has become one of the largest workplace observances worldwide. The idea of Administrative Professional day was born of Mary Barrett and C.King Woodbridge who at the time were serving on a US council addressing the shortage of skilled office workers. The First National Secretaries day took place in the first week of June in 1952, before the observed date was changed to the last full week of April in 1955. The name was then changed to Professional Secretaries Week in 1981, and became Administrative Professionals Week in 2000 to encompass the expanding responsibilities and wide-ranging job titles of administrative support staff. The event takes place worldwide on different dates and is celebrated through various community events, social gatherings, and individual corporate activities recognising the office support staff with gifts. It is a day on which you give one’s assistant gifts including but not limited flowers, chocolate, gift vouchers, massage vouchers, lunch or even time off. The International Association of Administrative Professionals also suggests considering gifts to further educate your support staff by providing training opportunities and flexibility with work hours. How many cuppas do you owe? This big one, has got to count for some! 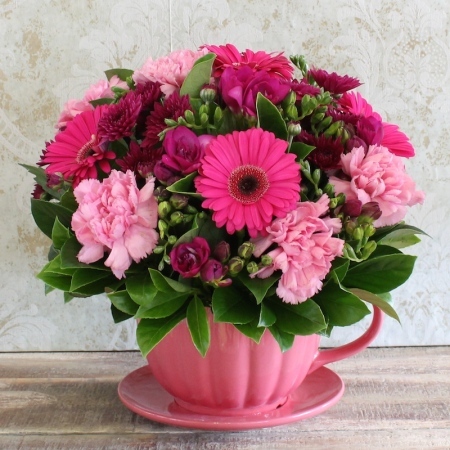 Gorgeous posy of flowers made in an oversized tea cup. 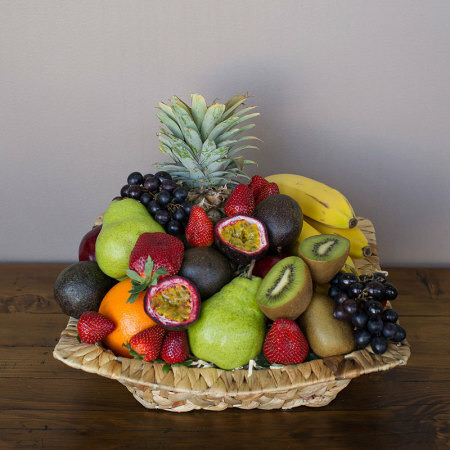 A healthy alternative to chocolate or candy, a fresh basket filled with seasonal fruits is a lovely gift idea. Long lasting, wild and free pretty much sums up this person? 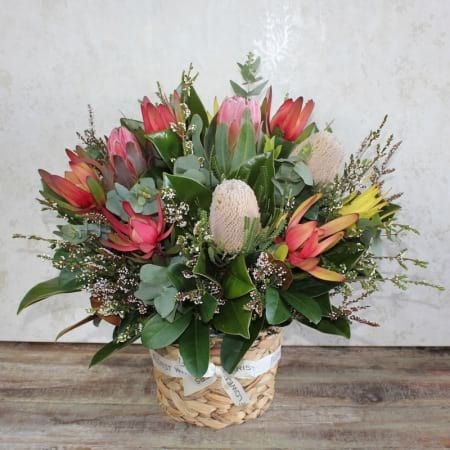 Gorgeous native flowers are long lasting making this arrangement a great gift that the recipient can enjoy and enjoy. Whether it is something big or small, the key to Administrative Professionals Day is to simply take time to reflect on the great work that is taking place around you every minute in your office. The people that keep the wheels in motion. who follow up, when you forget. This Administrative Professionals Day, May 1st, REMEMBER not to forget them! 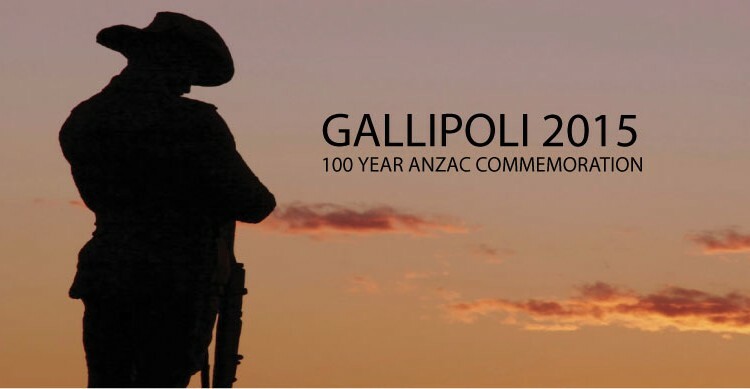 Anzac Day, marks the anniversary of Australian and New Zealand forces, in their first major military effort, landing on Gallipoli during the first world war. It is a day that Australians (and New Zealanders alike) take very personally, and certainly could well be Australia’s most important national occasion. The Australian and New Zealand forces landed on Gallipoli on 25 April, being met with fierce resistance by the Ottoman Turkish defenders. What had supposed to have been a bold strike to knock Turkey out of the war quickly turned into a stalemate, and the campaign dragged on for a further eight months. Over 8,000 Australian soldiers had been killed by the time the allied forces were evacuated at the end of 1915. . Although the Gallipoli campaign had failed in its military objective, what was to be known as the “anzac legend” was born, and became an integral part of the identity of both nations. It has certainly left a powerful legacy. Anzac Day is a day of national remembrance, taking two forms: commemorative dawn services and commemorative ceremonies, which tend to be more formal and take place at war memorials all over the country. In these ways, Anzac Day is a time when Australians reflect on the many different meanings of war. * Anzac day was officially named in 1916 and was marked by a wide variety of ceremonies and services in Australia, a march through London, and a sports day in the Australian camp in Egypt. 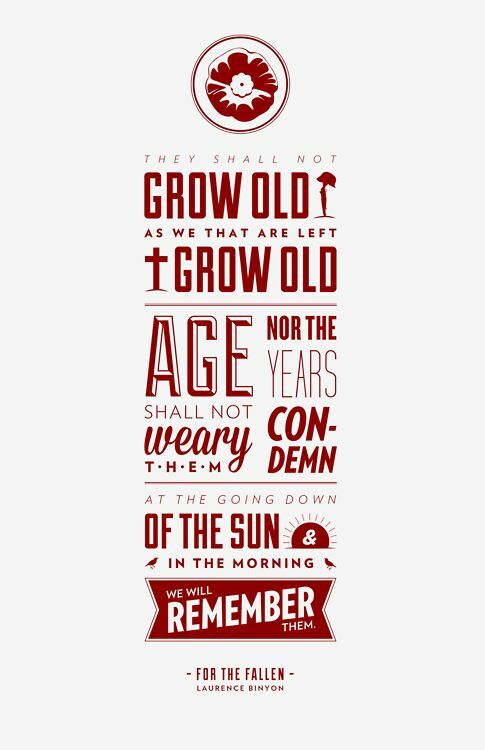 *During the 1920s Anzac Day became established as a national day of commemoration for the 60,000 Australians who had died during the war. *In 1927, for the first time every state observed some form of public holiday on Anzac Day. *By the mid-1930s, all the rituals we now associate with the day – dawn vigils, marches, memorial services, reunions, two-up games – were firmly established as part of Anzac Day culture. The Dawn Service observed on Anzac Day has its origins in a military routine which is still followed by the Australian Army today. During battle, the half-light of dawn was one of the most favoured times for an attack, although dusk is equally favourable for attacks. Anzac Day is an incredibly important and emotional day for many Australians. It is so important that these stories are told, and the history passed down through the generations to come and that we respect what the generations before us has been through, and lived through and how it has shaped us as a nation. Many lives were lost, and many lives were changed forever. This April 25th marks 100 years of the ANZAC. Slowly more soldiers pass as time moves forward, and the history is passed down generation to generation. Family members will march in tribute. Dawn services all over Sydney, will be at capacity reportedly by 3am. In today’s blog we examine some of the symbolism used for ANZAC Day and for remembrance as a whole, and how you can pay tribute to our diggers in a small way. Perhaps you have family members that march on Anzac Day who will wear sprigs of rosemary. Maybe you will attend one of the many local dawn services taking place all over Sydney and lay a wreath at a War Memorial. Whatever you do this Saturday, please take a moment to acknowledge those who have died at war, their sacrifice, and for those who have returned with scars that are both seen, and unseen. Rosemary, can be found growing wild on the peninsula of Galipoli, and so it holds a special significance for Australians and New Zealanders alike. The aromatic herb is thought to improve memory, and perhaps because of this, Rosemary has become an emblem of fidelity and remembrance. Sprigs of rosemary are traditionally worn on Anzac Day and are often handed out by Legacy and the RSL. 3. Canadian Colonel John McCrae first described the Flanders’ poppy (Red Poppy), as the flower of remembrance after a young friend and former student was killed at war. McCrae composed a poem in pencil on a page of his despatch book that has come to be known as ‘Flanders’ Field’ which described the poppies that marked the graves of soldiers killed fighting for their country. 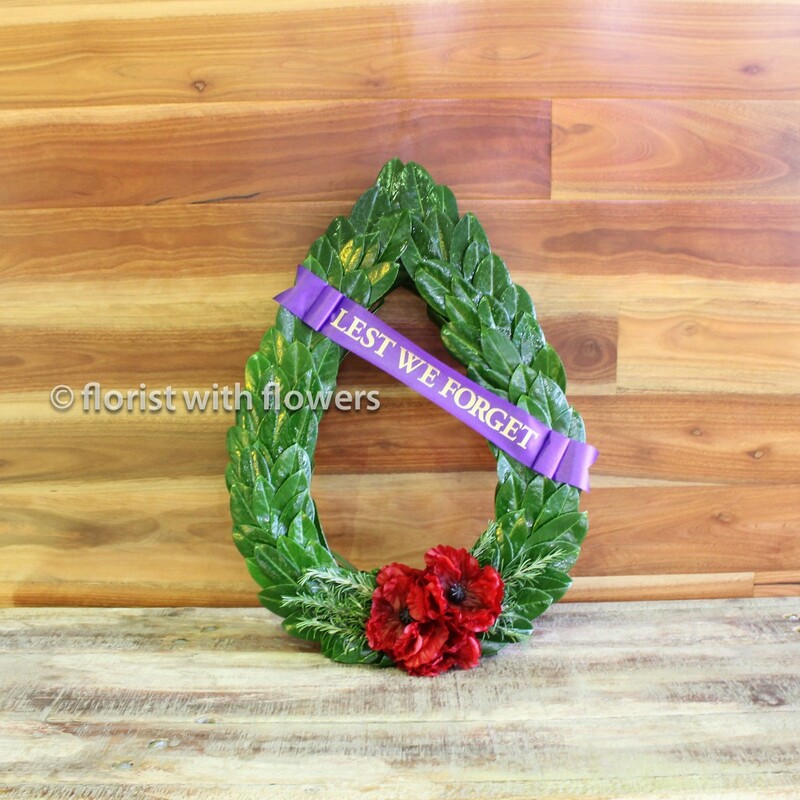 Laurel Wreaths are a traditional tribute piece for Anzac Day services. The Chaplets are traditionally woven with Laurel leaves, which was used as a symbol of honour as far back as the ancient Romans to crown victors and the brave. The wreath is also adorned with 3 red poppies which have become a symbol of Remembrance Day. The Lest We Forget ribbon is correctly place high in the left corner, across the wreath, and finishing low in the right hand side to symbolise the sun rising in the East and setting in the west. Own Image: ANZAC Chaplet woven with traditional elements; laurel leaves, rosemary and red poppies. A Punt on Two up, beer with a digger, a dawn service, or a donation to the RSL- there are many ways to honour and remember our diggers this year and every year to come. Whatever you do, make it special, we are unlikely to see another centenary come within our lifetime, which makes is a once in a lifetime celebration. Get involved, and don’t let it pass you by. Florist with Flowers loves flowers. And more than that, we love working with you to create the flowers YOU want. Getting engaged is such a special time, and there are so many things to consider when planning your wedding day. 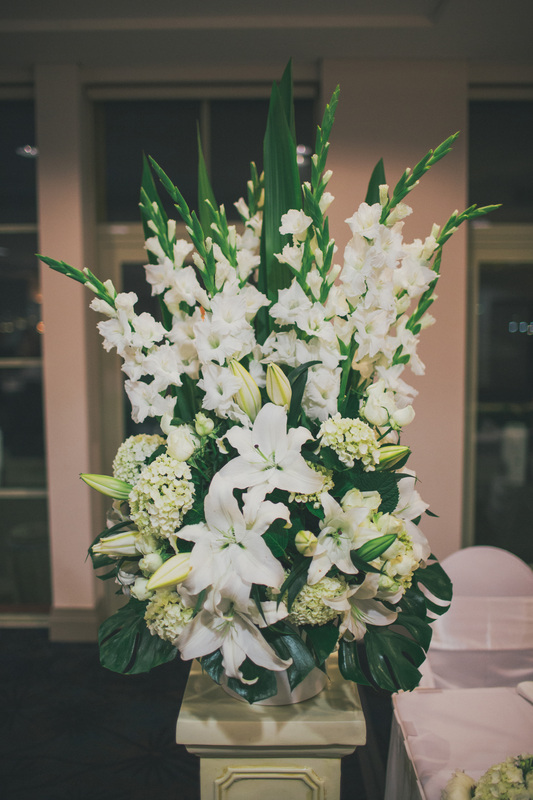 One thing you needn’t worry about is your flowers as our floral designers will professionally guide you though your options and help make your day look just as you had dreamed. Every bride, every couple and every wedding is unique and is it especially important to choose a supplier you feel has the experience and attention to detail to achieve that for you. 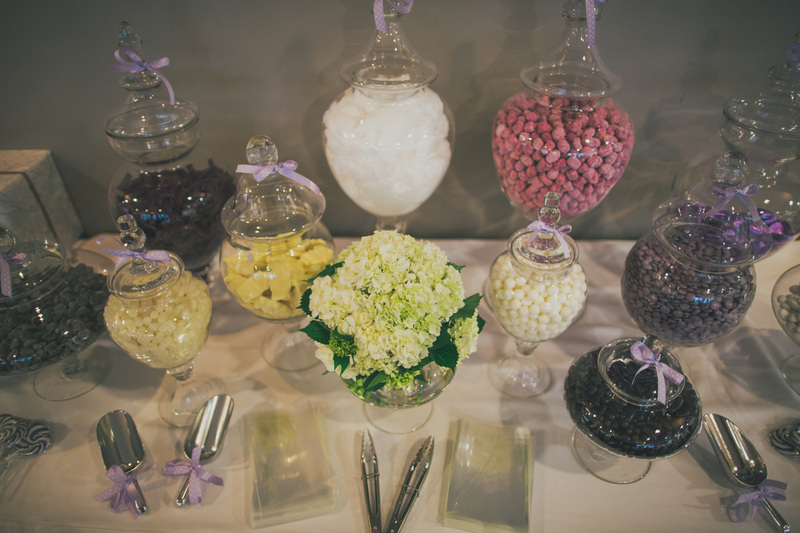 A wedding day gets no re-runs, so there are no second chances with your flowers. 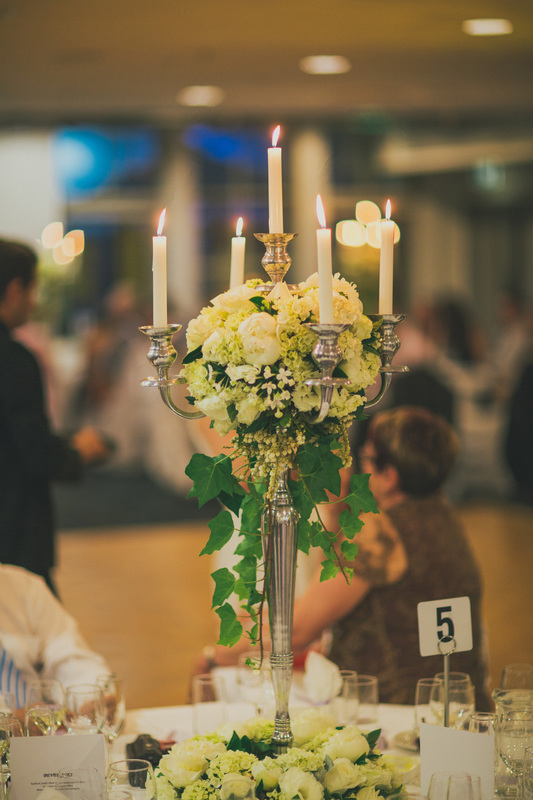 Unlike the venue, which you inspect and the dress that you try on,or the make up you have had trialed, you just don’t get the same opportunity with flowers. Sure we can, or any florist can give you a trial bouquet, but remember that we have no control over nature, and with a industry that is weather dependent, that is something you need to be on board with. You need to trust your suppliers to make the best decision when the worst comes to worse. And without trying to be dramatic…..the worse can and does happen. Torrential rain causes damage rendering blooms unusable, a hot spell burns petals, and believe it or not, the temperature also can change the colour of blooms. White David Austins can be sun kissed with a blush of pink- sure, they are stunningly beautiful, but, if you are after pure white, it probably isn’t going to fit the brief. Is it? 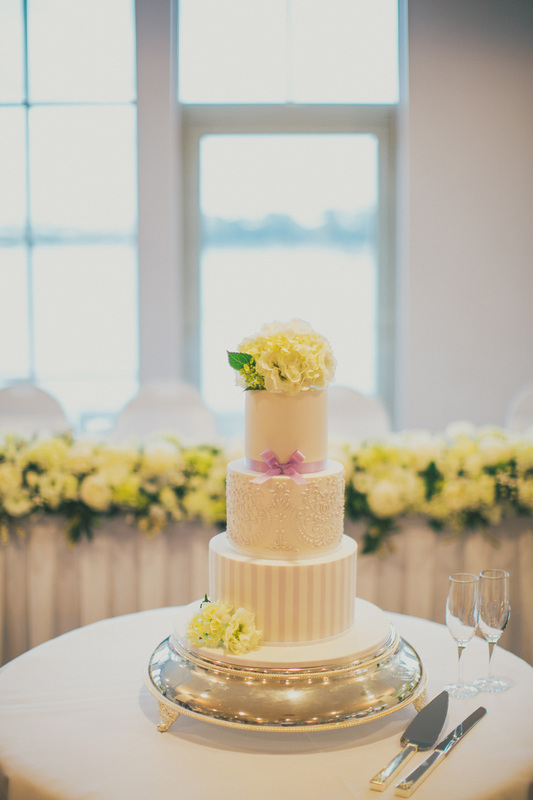 An experienced florist will be able to prepare you for the reality of fresh flowers at whatever time of year you plan to get hitched, and give you real options to achieve the look and feel that you are after. 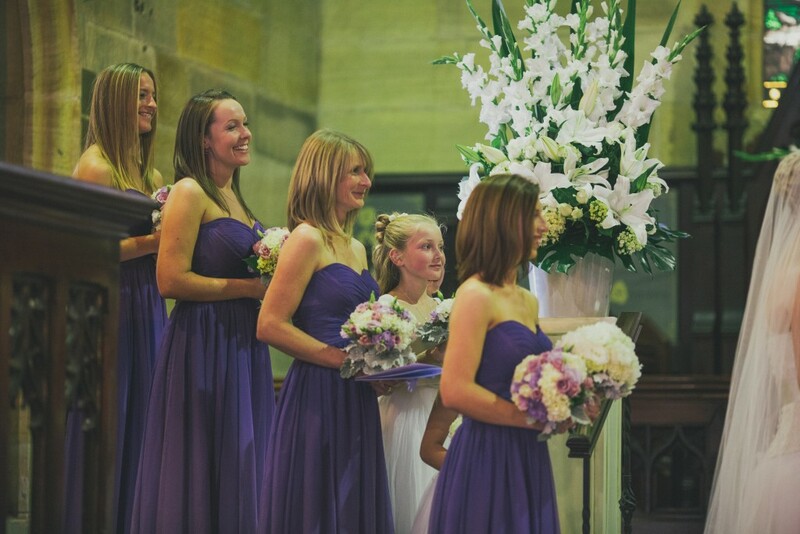 The wedding date was chosen purely for the flowers that were available at that time of the year. 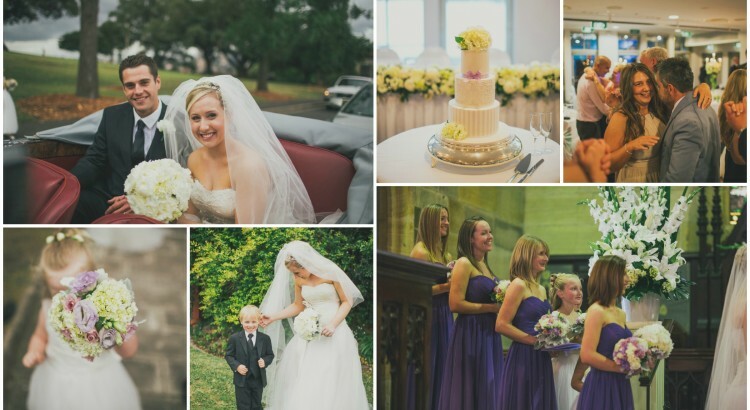 Kathryn had her heart set of hydrangeas and Peonies so the wedding had to work around them! Peonies only have a very short season (somewhere between 4-12 weeks depending on the weather/temperature) which usually takes place somewhere between Mid October and Late December. 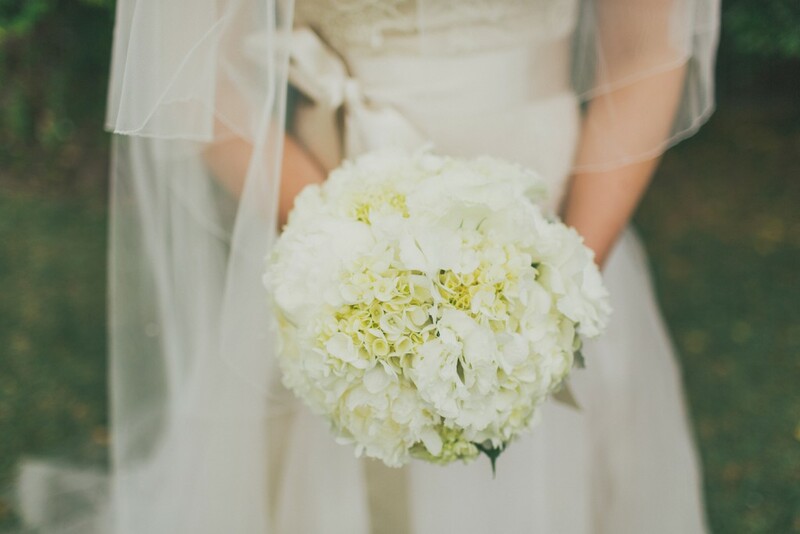 Kathryn’s beautiful bouquet was made with a neutral colour palette, featuring hydrangea, lisianthus and peonies. Kathryn chose a rich regal purple for her bridesmaids gowns, and used a soft pastel blend of lisianthus, roses, hydrangea and silver suede (dusty miller) foliage. The Ceremony: Garrison Church, The Rocks, Sydney. 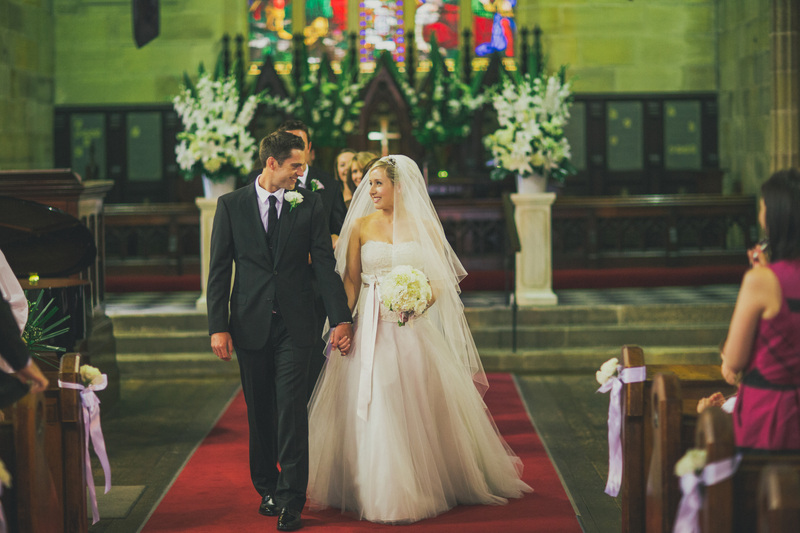 The iconic church, with its long aisle was decorated with simple pew ends and large floral displays at either side of the alter. The Reception: The Sunset Room, Luna Park, Milsons Point, was adorned with tall candelabra arrangements, with the bridal table anchored with two large pedestal arrangements and a continuous floral hedge from end to end. 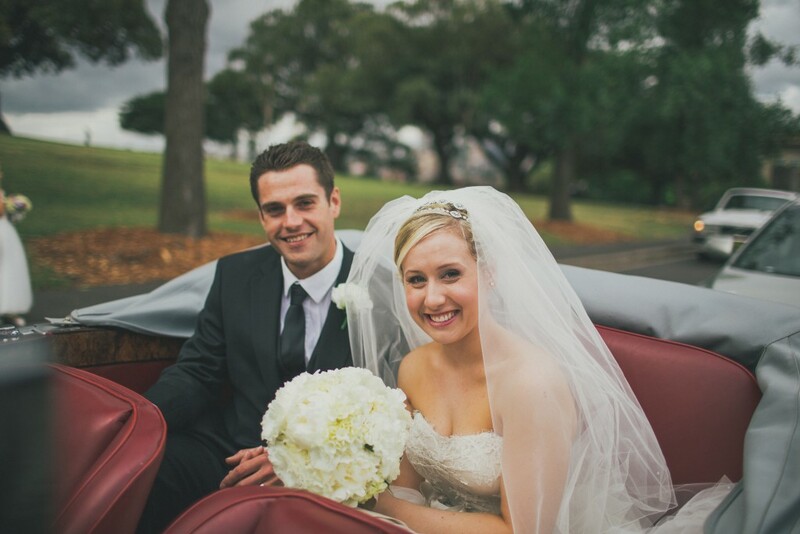 Best Part of the day: “There are too many to just choose one however….having our reception at Luna Park we were able to go on all the rides with our bridal party and have photos which was so much fun! 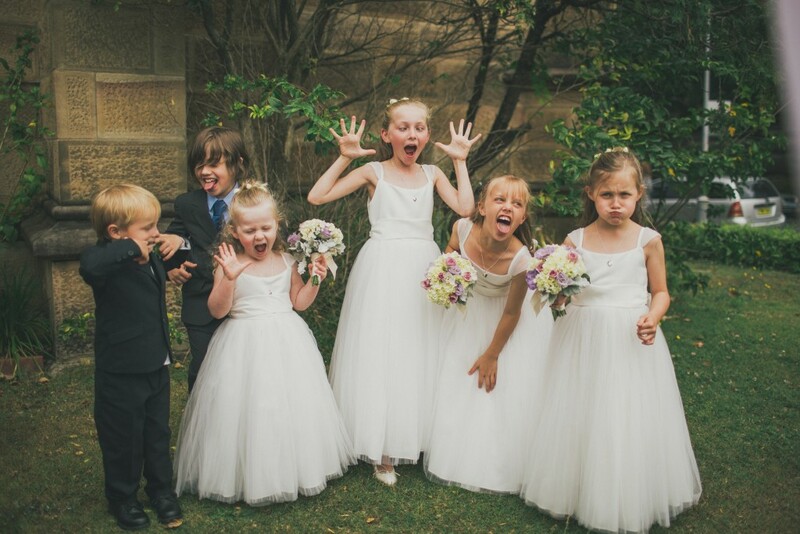 Can we help you with an upcoming wedding? 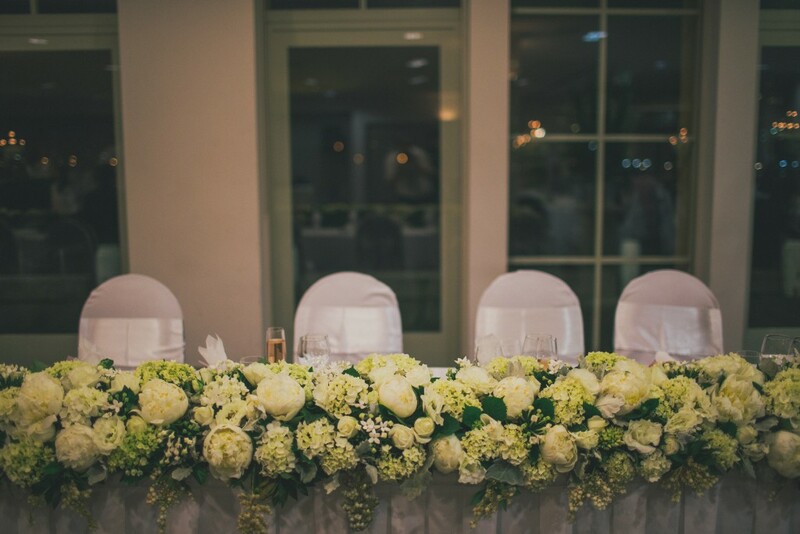 Florist with Flowers dedicated wedding consultant is happy to provide you with a one on one meeting to discuss your requirements and brainstorm together. 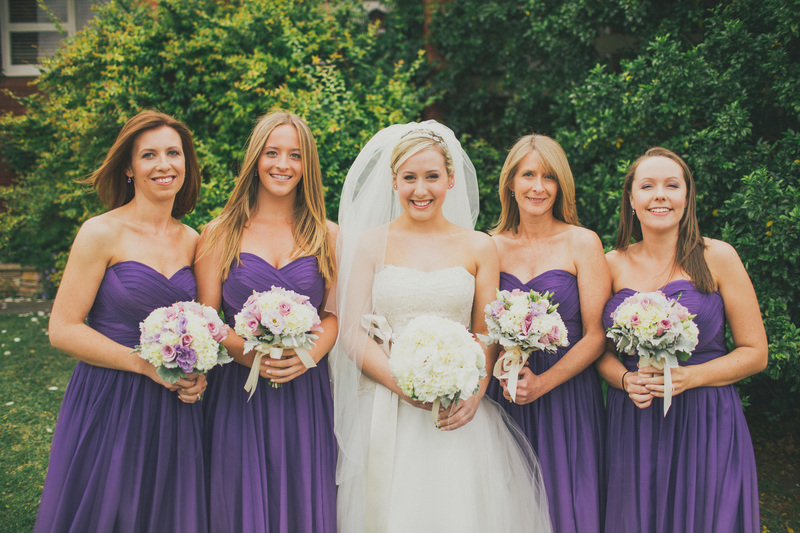 We recommend that you have both your dress and any dresses for your bridesmaids purchased before this takes place. Generally this meeting would take place no further in advance than 6 months prior to your wedding, in order to make the meeting as productive as possible in terms of making firm decisions. Are you ready to come in? We can’t wait to hear your ideas, and start working to make your dreams come true! Nothing quite compares to the sweet fragrance of flowers, if anyone in the world knows that, its us. As well as gifting mum with fresh flowers this Mother’s Day, why not explore the idea of giving her beautifully fragrant luxury products, or products inspired by flowers. Here are some of our personal favourites…..
You have got all bases covered with deliciously decadent chocolates from Belle Fleur. This Sydney based family chocolatier has had four generations crafting fresh, handmade chocolates every day and are always pushing the creative boundaries. With Lemon Myrtle, Violet, Wattleseed, Eucalyptus and Rose featuring above, like me you can create your own selection online choosing from their boutique range. There is no comparison to the quality of the Belgian couverture, fresh local dairy products and ingredients sourced from around the globe, and the craftmanship that goes into each and every one of these chocolates is simply a work of art. Got the chocolates, but now need the flowers? Check out our range here. Own Image: Ecoya Sweet Pea and Jasmine diffuser, and candle pictured. Let mum fill the bathroom, lounge room or sunroom with sweet, subtle floral fragrances from these diffusers. With no flame to speak of and no ash, diffusers are a great alternative to candles or incense. We stock a range in store or you can view some pieces here. Now I ain’t going to lie, I have a massive crush on all things Marc Jacobs, and his perfumes are no exception. Currently on rotation at my place is Daisy Eau So Fresh, Oh Lola AND Dot, but I can also vouch for the pure divinity that is Daisy Dreams, as well as the original Daisy. If you like floral fragrances, or think Mum does, MJ will definitely have something for you. Many other brands also offer floral fragrances, and even if the name is not a flower itself like the two pictured above, many fragrances feature soft florals in their overall bouquet. If you find this kind of choice just WAY TOO HARD, fear not! Choosing a fragrance for anyone is a BIG task. If you do not know for sure that Mum loves it, maybe err on the side of caution and instead opt for a floral fragranced hand cream or hand wash for the bathroom. If it really isn’t her thing, you’ll see it sitting in the guest bathroom next time you come around, so pick something you like at least! Not sure you have the confidence to pick out a frangrnce? 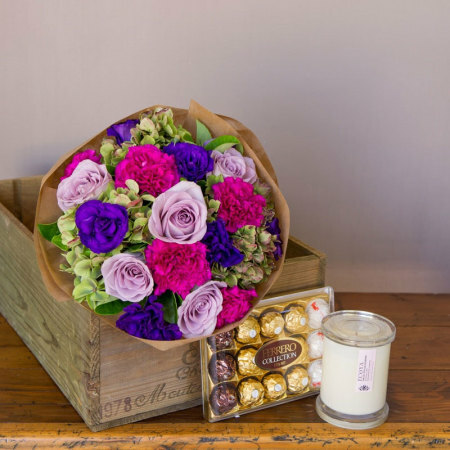 What about a fragrant bouquet- Check out our gorgeous Mother’s Day range here. There is no denying that Crabtree and Evelyn has a handcream range second to none! 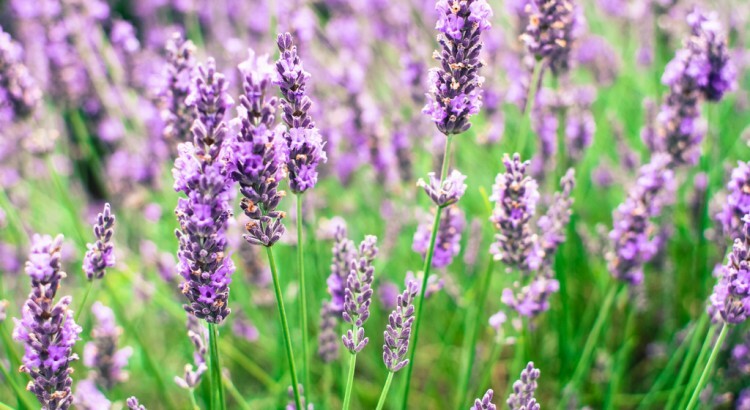 Lavender, Rosewater, Lily, Iris and the sweet floral scents of Summer Hill are all classic fragrances that any mother, mum-to-be or grandmother is sure to appreciate. You can check out their range online or go in store to smell, touch and immerse yourself the floral fantasy. Team a supple hand cream with a fresh posy or bouquet from our Mother’s day range and you will have all bases covered. We LOVE Ecoya and have always supported their products, and with soft floral scents like Lotus Flower, and crowd pleaser Sweet pea and Jasmine it is easy to appreciate why. The Metro Jar is sleek and understated and would suit any decor with its clean lines and neat packaging. Come in store to see what is on offer! Another new love of mine is Aquiesse; a unique range that includes candles, handcreams and diffusers inspired by nature. The candles are presented in a super sleek textured tin design, together with its own unique matchbox cleverly hidden within the lid, come saucer. 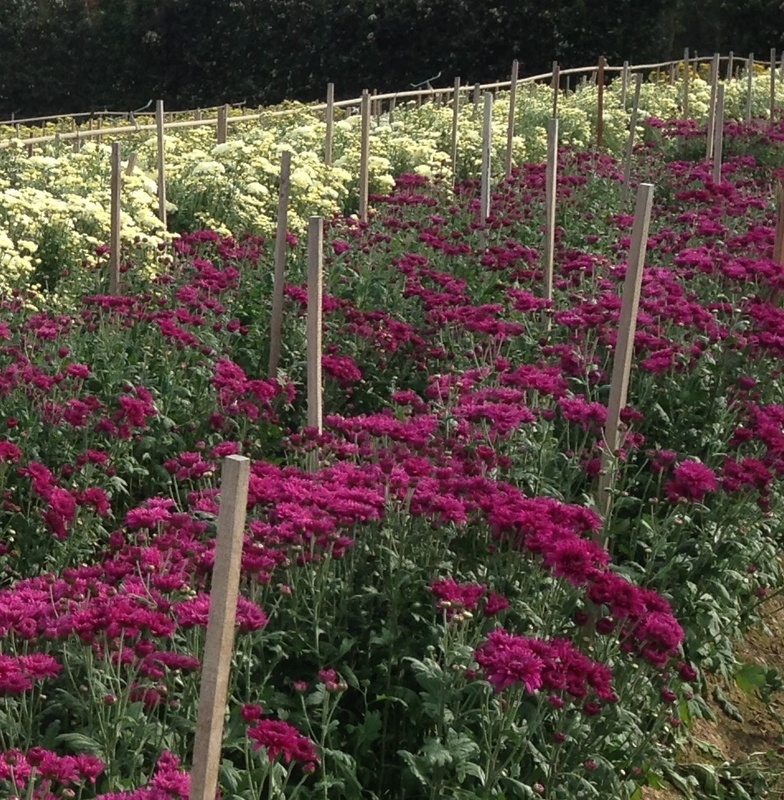 Disbud Chrysanthemums are called so as the flowers are ‘dis-budded’ to achieve just one single bloom per stem. All side buds are removed whilst the plant is young, resulting in a large focal flower. 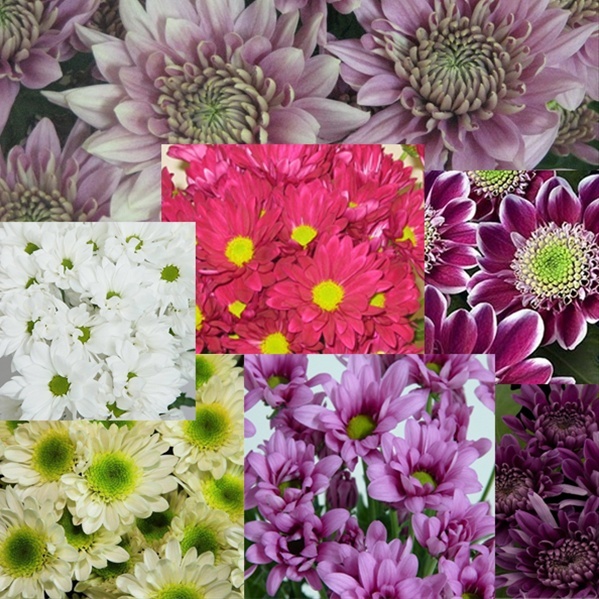 The result is one premium bloom measuring appromiately 7-9 cm in diameter. How amazing is that? And, if you think about it, it also makes the single stemmed blooms seem quite reasonable in cost too after forfeiting so many of its brothers and sisters along the way! Imagine feeding just one child so they flourish and letting the others fall by the wayside! 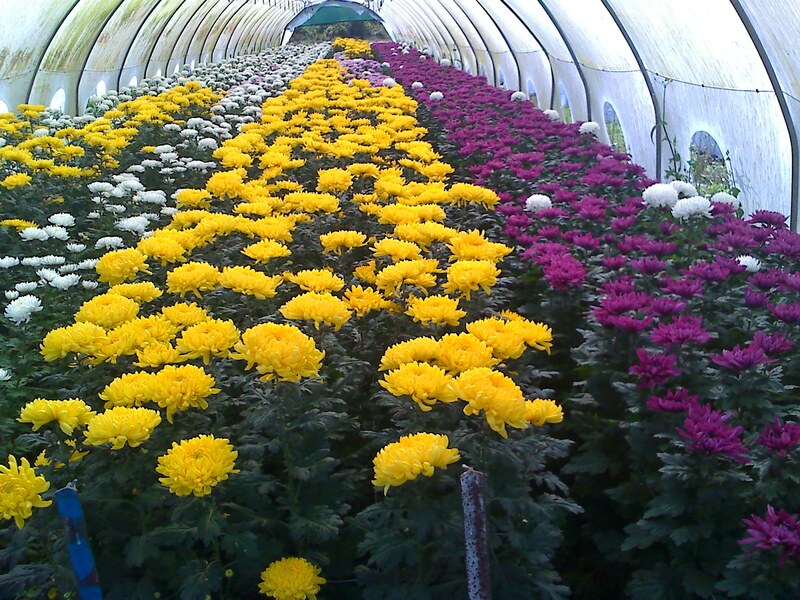 Hardly something a parent would do, but funnily enough, Chrysanthemums are a traditional flower for Mother’s Day. Weird. 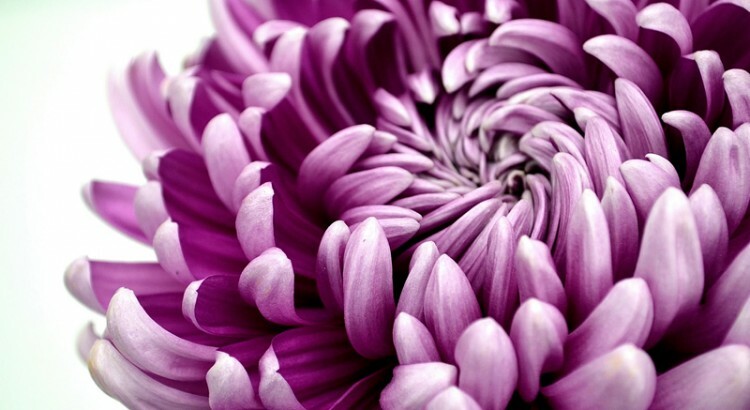 Some believe that the significance of the humble chrysanthemum is simply due to the inclusion of the colloquial term for our mothers within the flowers name: ‘mum’. Disbuds have started becoming increasingly popular again with the influx of imported varieties that are being creatively dyed, giving us florists unique and varied colour schemes to explore. 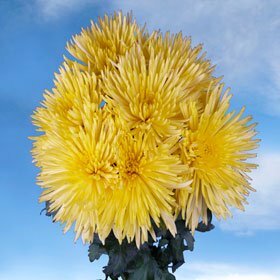 Fresh chrysanthemum flowers are a long lasting bloom, with many customers reporting they easily get up to two weeks from these impressive flowers. There are two types of disbuds: Spiders and Cremons. Spiders are defined by their tubular petals. Any disbud without this feature is considered a Cremon. 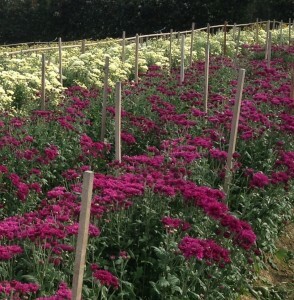 Besides the spectacular disbud blooms, we also have fresh bunches of spray ‘chryssies’, button chrysanthemums and more! Though I am not a fan of the standard chrysanthemum, the disbud is a different thing altogether. For me, it sits somewhere between the dahlia and the extraordinary peony, and I am a massive fan of both of these beauties! And, as an added bonus, they last so much longer! What do you think of disbuds? Kind of cool, or kind of daggy? Mother’s Day is a day we can all take time to honour the wonderful mothers we know: the mother we have/had, our special mother-in-laws, or the grandmothers we are lucky enough to still have around and learn from. Sending fresh flowers to all the special ladies in your life is the perfect way to show them you care! 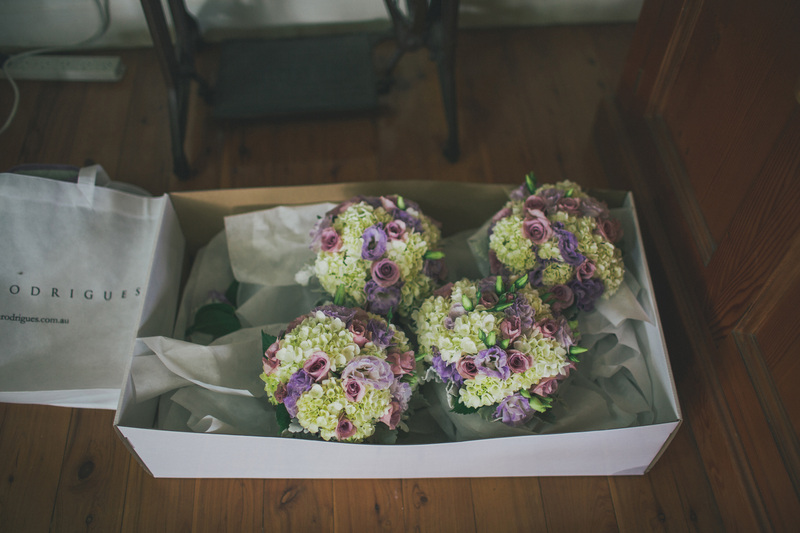 Whether you choose to go with the traditional ‘mums’ or something different, our fresh flowers can be delivered throughout Sydney, or organised to be delivered with one of our affiliates anywhere in the world either Friday, Saturday or Sunday. Whether you order online or come into the store to choose something special, Florist with Flowers can create Mother’s Day flowers to suit any-mum! Mother’s Day- How and Where the idea came from…. Mother’s Day as we all know, is a day to take time to honour one’s own mother. Here, in Australia is takes place on the second Sunday of May each year, but its roots stem from the United States where celebrations started taking place during the 20th Century. The American holiday was first celebrated in 1908, when Anna Jarvis held a memorial for her mother in West Virginia. She began her campaign to make Mother’s Day a recognised holiday in the United States in 1905, after her own mother, Ann Reeves Jarvis, died. Her mission was simple: to honor her mother by continuing the work she had started and to set aside a day to honor mothers. She believed mothers were “the person who has done more for you than anyone in the world”, and let’s face it, she was on to something! This celebration then spread throughout the world, with the date altered to fit with traditions/celebrations within each country already related to mothering or motherhood. 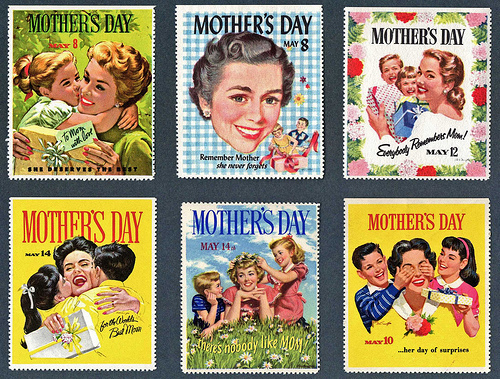 Mothering Day in the UK for example, was a holiday originally celebrated by Catholic and Protestant Christians and falls on the fourth Sunday in Lent. Initially this holiday saw parishioners return to their ‘Mother Church’- the largest church in the local area, or more often, the closest Cathedral. Servants then began being given the day off to attend their mother church also, and as such, it became a special family day, as general work hours often prevented family spending time all together. Children would often gather flowers along the way to place within the church, and, over time they began to give these flowers to their mothers. Eventually this religious day became the secular Mothering Day. 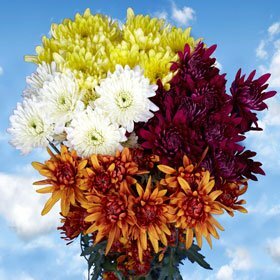 Mother’s Day in Australia takes place in the Autumn months when Chrysanthemums are readily available. The significance of the humble chrysanthemum is not know for sure, however many believe it was simply adopted as the flower of the day due to its name containing the colloquial term of endearment for Mother- mum. 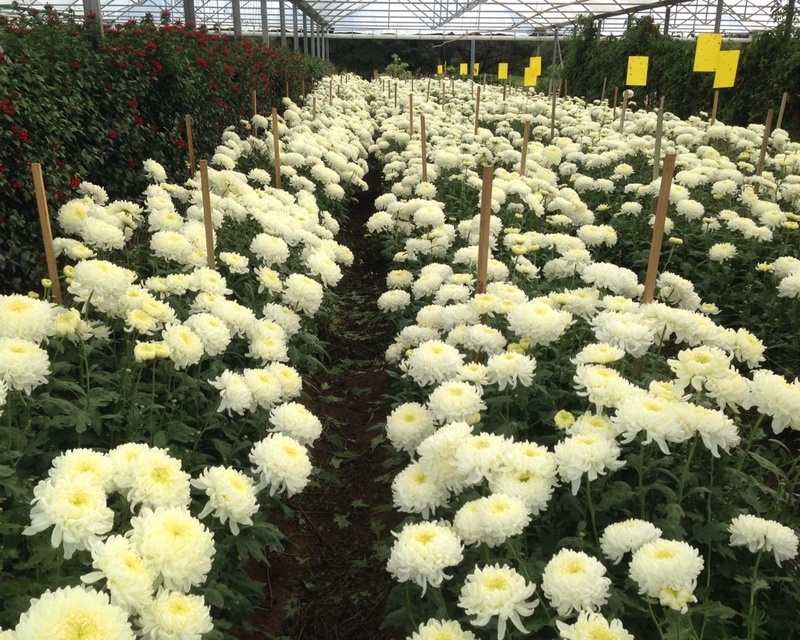 Traditionally chrysanthemums were used in bunches to give to your mother, and today with vast importation as well as hybridisation we have a wide variety of different Chrysanthemums that are now used to create spectacular fresh flower arrangements! 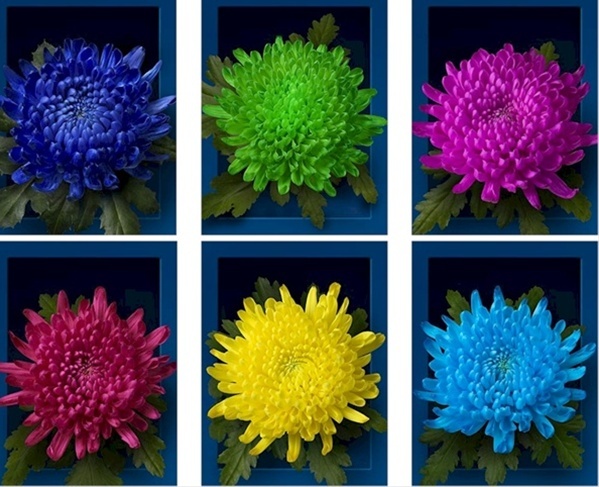 POMPON – spray type of chrysanthemum; each stem has several flowers. CUSHION POMPON – flower is of medium length petals without button in the centre. DAISY POMPON – flower with button in the centre. 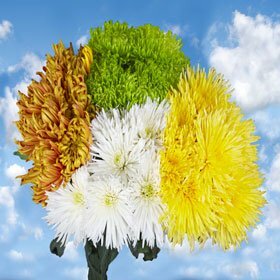 NOVELTY POMPON – any chrysanthemum besides white, yellow, pink, and bronze cushions, any novelty colours. All novelty shapes. SPIDER POMPON: flower with very long outer petals without button in the centre. FUJI – synonym of spider, except it is not a spray flower. So, what do you think of tradition? Something to stick with, or time to turn it up on it’s head? Whether you celebrate with her on the day for brunch, send a card in the mail, have chrysanthemums or other fresh flowers delivered, I’m sure Mum will appreciate being remembered this Mother’s Day. However big or small the gesture, remember, a mother is someone who will love you unconditionally, till her last breath……. and really, what can you possibly do to match that? I suppose we can spend our life trying…..